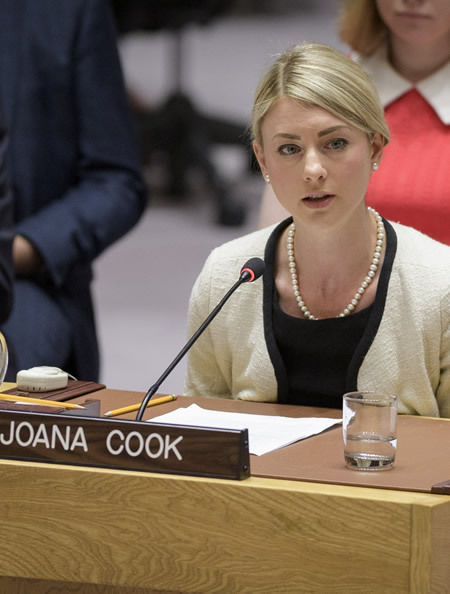 Photo: Joana Cook, Senior Research Fellow at the International Centre for the Study of Radicalisation, chairs the Security Council meeting on threats to international peace and security caused by terrorist acts. 23 August 2018. United Nations, New York. UN Photo/Manuel Elias. 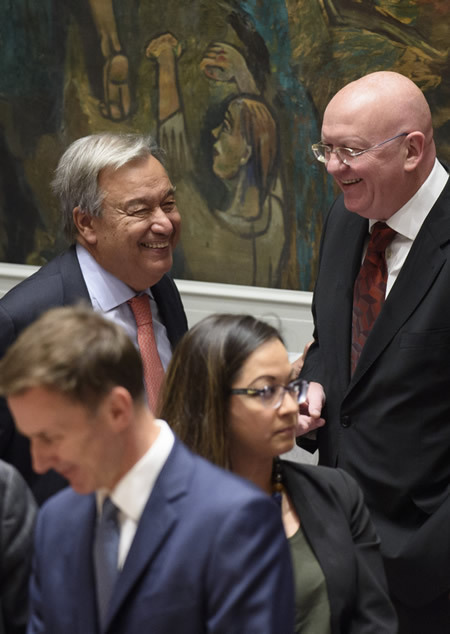 Photo: UN Secretary-General António Guterres speaks with Vassily Nebenzia, Permanent Representative of the Russian Federation to the UN, before the Security Council meeting on threats to international peace and security caused by terrorist acts. 23 August 2018. United Nations, New York. UN Photo/Loey Felipe. 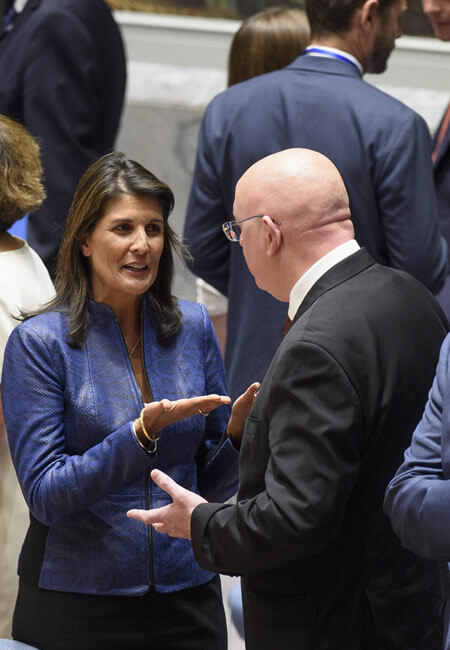 Photo: Nikki R. Haley, Permanent Representative of the United States to the UN, speaks with Vassily Nebenzia, Permanent Representative of the Russian Federation, before the Security Council meeting on threats to international peace and security caused by terrorist acts. 23 August 2018. United Nations, New York. UN Photo/Loey Felipe. 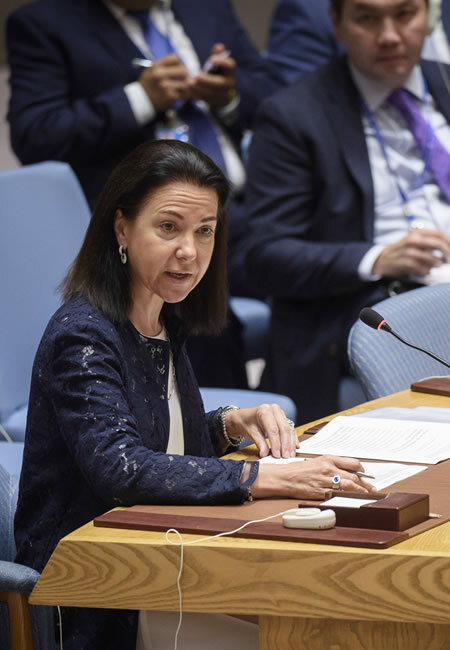 Photo: Michèle Coninsx, Executive Director of the Counter-Terrorism Executive Directorate (CTED), addresses the Security Council meeting on threats to international peace and security caused by terrorist acts. 23 August 2018. United Nations, New York. UN Photo/Loey Felipe.